I really enjoyed this book! I bought it on the bargain shelf after the movie came out(I hadn't seen the movie, and although I LOVE Helen Hunt and Kevin Spacey...hadn't made it to see the movie)The book was phenomenal. When I finally rented the movie I was so incredibly disappointed...the book was so much better! Outstanding even! Release planned for Thursday, May 01, 2003 at Starbuck's in Manchester, Missouri USA. Released on Wednesday, May 28, 2003 at Mailed to fellow bookcrosser in Deventer, Deventer Netherlands. Thank you! Today I found this book at the doormat. I enjoyed the film and I am looking forward to reading this book! The concept, doing good and how this affects people's lives, is something I cannot read enough about. I will submit another entry when I have finished it. Anyway, I find the book very well written and the idea thrilling. I am just wondering, what is keeping us to follow up on this idea? I know I am trying to do my bit, spreading out random kindness as I go, and meeting lots of it along the way. This is the only way we can make this world a better place. It is just encouraging to read about kindness, people showing a bigger heart than they thought they had. Let's share these stories! With love I send this book to the next reader. In fact, I made this into a bookring. Look at my profile to find the list of people who wanted to join. It keeps on getting longer! Released on Monday, October 13, 2003 at to fellow BookCrosser in Deventer, Overijssel Netherlands. In the mail to the first one of this Bookring. Enjoy and do take it at heart, if you can! Received 'Pay it Forward' today. Thank you lennonchick and of course Biba. And it's a beautiful book with all the little blue ****...I will start reading as soon as I finished my Ann Tyler. Gee, did I like this book... it was just what I needed. I couldn't stop reading. And yes, what is keeping us to follow up on this idea? I promise to do my little bit too, at least three times. :-) I don't think I want to see the film - heard something about Reuben played by a white actor... and I don't want to ruin the images in my head. So, the book will now be sent to Dutch-flybaby and I sure hope it will give her the same lovely hours as it gave me. I can tell you how it all started. It started with a teacher who moved to Atascadero, California, to teach social studies to junior high school students. A teacher nobody knew very well, because they couldn't get past his face. Because it was hard to look at his face. It started with a boy who didn't seem all that remarkable on the outside, but who could see past his teacher's face. It started with an assignment that this teacher had given out a hundred times before, with no startling results. But that assignment in the hands of that boy caused a seed to be planted, and after that nothing in the world would ever be the same. Nor would anyone want it to be. It sounds promising... After I finish reading my current (dutch) book, I'll read this one. The first chapters were a bit confusing I thought. I almost put the book down, but decided to just read instead of trying to understand who was writing what piece of the story. After that the story started to take shape for me and I found myself wanting to keep reading on and on. So I did today and I finished the book this afternoon. The concept of 'paying it forward' I can relate to. I have experienced that when you give, you will also receive (not necessarily from the same source you gave to). The first part of the story was well written, realistic and with enough detail to connect to it. I liked the lovestory between Trevor's mother and his teacher. The end of the story didn't feel right to me; it felt hastily written and totally out of proportion (a visit to the president...., come on!). I rate the book an 8 for the first part and for the subject of the story. Let's see who's next on the list. 19-12-2003: The book is all wrapped up and ready to send to Riroti (hopefully today). Released on Saturday, December 20, 2003 at Mailbox near my home in Ede, Gelderland Netherlands. I mailed the book today but put it in the local mailslot instead of the other one! So it may take an extra day to arrive at Riroti's. Received the book today. Will start reading it after the holidays. Sending it on to Zeist. Sorry for the delay!!! Wow, finally the book arrived. Thanks, riroti! I decided to give the book some momentum again and finished it in two days. That was no hard job: once started you only want to read on. The subject matter is touching and although, of course, I felt deeply sorry that the lovable hero had to die, I think that was a good move on the author's part in order to make the story a bit more believable. Otherwise, the world as depicted here would have been too good to be true. I saw that there really is a Pay It Forward-movement now, inspired by the book, with a website where you can read about PIF-deeds. One can only hope that the movement will grow as big as it did in the novel. The book travels on to Riemke/Elefteria. I took this book with me to give it to Elefteria. But I was moved by the beautifull cover. So, when I was on the way back home, I took this book out of my bag and started to read it. The first chapters are a bit confusing, but now (page 71) I like it very much. And, after all, I don't see Elefteria before 9th Nov., and then I have finished this book! it's a long long time ago that I signed up for this ring. I don't even remember who started it, but it's here.... finally and I'm going to read it soon. some details maybe were a bit too dramatic, but on the whole, it was a good story. Read it on and on and on... till it was finished. Give toe book to 1972Galadriel this sunday on the meeting in Nijmegen, so she can hand it over to Plinius. in the postbox this morning, thank you, Elefteria! This was I believe the first ringbook I subscribed for, so I'm really surprised it reaches me after all the time. Good story, and also a feelgood story. The sketches of individuals are convincing and I like the descriptions of the main characters growing out of their fears and defences. I feel uncomfortable with the large demo in the end of the story; it smells too much of the Lady Di- or the Pim-hype and so spoils the effect. And a visit to Clinton? Hmm. A lot of the things we do come very close to the idea of paying forward. We help neighbours, find homes for stray animals, help to raise the next generation and so on. Bookcrossing is also close to PIF, and the effect is of course the same: barriers go down and we grow out of our fears and defences. Waving to you all; Hello, have a nice day! Got this in the mail today Plinius. Looking forward to reading it. Had forgotten I'd signed up for this book ring until I got an email asking for my address. Will get started as soon as I finish the book I'm reading now. The book was fantastic!! I read the inside cover of the book and had to read it before I finished the other book. When I finished the book yesterday, I went out and rented the movie even though I've heard such negative reviews of it. I would have to add my negative views to the movie as well. It doesn't do the book justice at all. I certainly hope that anyone who only saw the movie will read the book and find out the whole story. I'm contacting nefertete for her address to send the book on to the next reader. Sorry, you all. Must have forgotten to register the book. I've got it for some weeks now. Today i started reading it and I was curious if my gellow bookcrossers liked the book. That's when I realized that I did not register. I'm now even more curious because everyone seems to like it a lot. A long travel for this book; first journal in april 2003. But..."join the bookring" is all I would say. Really liked the book. Didn't see the movie. Would be nice if it could really work. Maybe we should try it " pay it forward". Now traveling again on its long journey..to Botje! Got the book out of my mailbox just minutes ago (got home late). It was quite a surprise to me, because I had forgotten that I subscribed to this bookring about a year and a half ago. Even when Nefertete sent me an email for my address, I didn't remember about which book it was. I'm looking forward to read it. Already saw the movie, but that's a long time ago now and from reading previous entries I take it that the book is a lot better! Will start reading as soon as I've finished 'The Chronicles of Narnia' (which is also a great book by the way). Decided to leave C.S. Lewis and his 'Chronicles of Narnia' for a while to read this paying forward thing. So I already finished it today, and again I found it an amazing story. The book indeed is better than the movie, especially because the story in the book is bigger. But since this is a BOOKcrossers-site, and not a filmcrossers-site, let's stick to the book. And the book gets you even more in the mood to do Good Deeds. I also like the thought of sending this book forward, and in a way sending the general thought and karma forward. What a great idea biba89! So now I'm going to get the address of the next one on the list, and going to send it soon. Yahooo, found this book yesterday in my "brievenbus". Have enjoyed the movie very much so this book should be fun to read. ...wow...the movie has touched me already in a way, this paying forward thing already tickled my senses. But I see now that the movie really doesn't do the book justice, I just couldn't put it aside and ended the book in tears. The whole concept of paying forward is fantastic, in my own way I'm always trying to do good...just give a smile or lend out a little helping hand...for nothing...to make somebody's day a bit better...and in some ways you'll allways get something back from an unexpected corner. I think if we all try do do those little things, the whole world will become better & stay that way. It's on it's way to KrisKras! Got it, thank you TinyBear! Mayti let me know that she's not in the right mood for English books, so I'll send it on to Violoncellix asap. Thank you very much for sending me the book, kriskras -- it arrived safely. 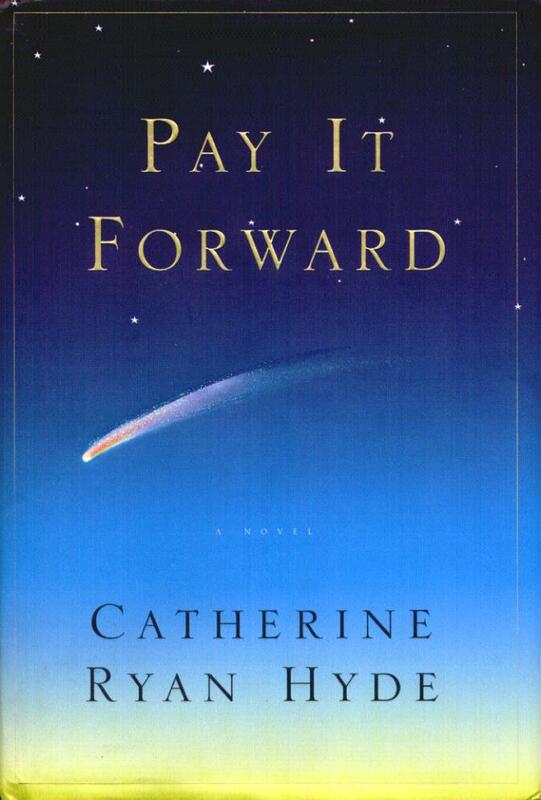 I like the theme of Paying it forward very much, and in general liked the plot of the book as well, except the ending. Sometimes I had the feeling that the author conceived the book too much from an idea instead of from characters. I have no idea what happened between Reuben and Mom. Must have been really weird, though. Because every time I see Reuben he says, "So. Trevor. How´s your mom?" And then he says, "So, Does she ever ask about me?" Ask what? I´m thinking. But it is usually better not to mix into these things. Then I get home and Mom says, "Ever see Reuben?" And I say yeah, I see him all the time. And she says, "So. Does he ever talk about me?" Sometimes I want to yell at them both. I want to say, "Just talk to each other! It's not that hard! I mean, it´s not brain surgery, guys!" But grown-ups hate it when you talk to them like that. I got this book because I am part of a bookring. Recieved it just at the right moment beeing a bit sick and therefore having the oppurtunity to just start reading until I finished it (I love these sort of `bookdream´days). The storyline is nice and the author is able to get all the characters come alive. I also like it that she uses imperfect ordinary people although they most become almost saintlike in the end. The idea she presents "paying it forward" is thrilling to think about (that's what I did in my blog, which I posted under this message). I only had doubts about the end of the book. To much drama. I would say: a very American way of ending a novel: big. Still, I´m glad that I was able to read the book (thank you biba98). 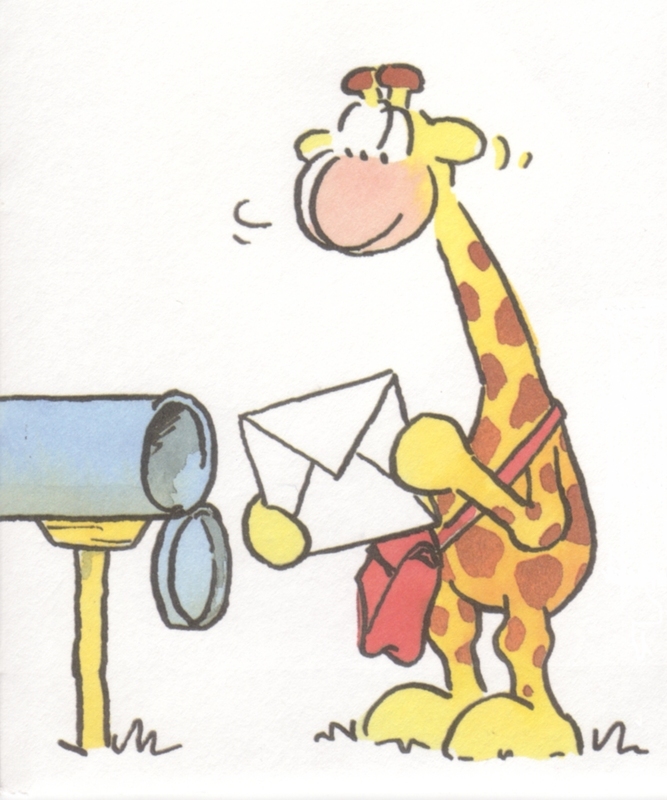 There is someone who I think would very much want to read it as well, so before sending it to the next person on the list (is that really you again biba98? ), I will ask her. I’m at this very moment engrossed in finding out more about the concept of solidarity. Important studies that made a contribution on thinking about solidarity where those from the anthropologists Malinowski and Maus on gift-exchange. They show that the exchanging of gifts (investing time, money, care etc.) is an important fundament of society. Bonds between people, apart from those who are next of kin, exist because we expect something back when we invest in a person. The basis rule for this reciprocity is “You have to help and you cannot harm someone who has helped you” (De Swaan, 1996). But for a bond to develop people need the possibility of meeting the other more then once: how else can you be paid back? This then, is the problem among strangers. I found an answer to the question of reciprocity among strangers in my mail yesterday. I received a package with a book inside from a bookcrosser. * The book is called Pay it forward by Catherine Ryan Hyde and I read it, literally, in one go. Her main character, Trevor, answered the question with: “what if your gift to a stranger is not paid back but paid forward to another stranger?” He comes up with this idea when he accepts the challenge of his favourite teacher. He and his classmates can earn extra credits by coming up with “an idea for world change” and “put it into action.” Trevor chooses three people and does them a favour. In return they should not pay him back but pay it forward by choosing three other people whom they will do a favour. In return they, again, will ask nothing but to pay it forward again. As the blurb of the book says: “A human chain letter of kindness and good will.” In the book it works, big time: people around the globe pay forward and with that change the world. * Someone who likes to pass books around to friends and strangers instead of keeping them on the shelves. For more information go to bookcrossing.com. * De naam “Pay it forward” is volgens mij niet zo sterk als je het letterlijk vertaalt met: “Betaal/vergoed het door.” Alhoewel, doorvergoeden, dat klinkt nog niet eens zo slecht. Erg Hollands, dat wel. Malinowski, B. (1922) Argonauts of the Western Pacific. Maus, M. (1923) Essai sur le don. Translated as: The Gift: The Form and Reason for Exchange in Archaic Societies. Ryan Hyde, C. (1999) Pay It Forward. Simon&Schuster: New York. Interesting idea the system of paying forward. Nevertheless the author managed to make a complete disaster out of the book. Instead of digging further into the concequences of what an idea like this could do to our world, or to Trevor, she turned it into a cheap romantic story with quite flat characters. Fifty percent of the book is telling us the overpredictable lovestory of Reuben and Arlene. Even the end of the story (I will keep this a secret for those who still want to read the book) turns out to be pathetic instead of shocking or at least sad. I'm also wondering what Bill Clinton is doing in a 100% fictionstory... The only thing I liked was the basic idea of paying it forward, the world could use a bit more of that...! This gem arrived safely in its semipermanent home, until the next reader asks for it. LinniePinnie has asked for this book and even started a new ring with it! I will send it off in the mail tomorrow. Enjoy! The book has arrived safely today, thank you so much biba89 for sending it and for the sweet card that was in the book. First I had to get used about the way it was written in different chapters from different characters. It is my first English book since a long time. I have seen the movie twice so sometimes in my head appeared some frames from the movie. I just love the idea of paying it forward, especially to find something where you can really please somebody with. During reading the book I signed in for contributing money for Stichting de Opkikker. An organisation that organises activities for sick children and their family. I have asked 061019alexandra for her address. 061019alexandra has asked to skip her and put her at the bottom of the list. Jordanne has bought the book herself....4vlinders is the next one! Will be posted on 20/02/2007 to 4vlinders! lag in de brievenbus, kan er meteeen mee beginnen. Ben benieuwd. Wordt vervolgd. Bedankt voor de kaart Linniepinnie. gaat mee met Smitjes naar Gouda voor Afraberg. Today Linniepinnie gave this book to me in Cafe Lef. I will start reading next week, first I have to finish the book I'm reading now. I'm very curious. Thank you very much Linniepinnie and lennonchick78! I liked the book very much! The only thing I knew about this story, before I read it, is what I'd seen in the movie trailer. Then the story appealed to me, but I did not like the way it was filmed. So I was very glad to get the chance to read this book and I really loved it. Thank you very much lennonchick78 and linniepinnie! 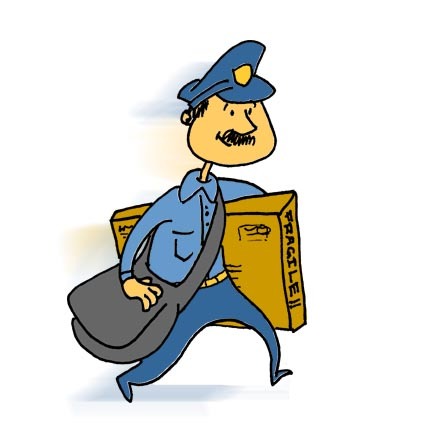 The book is now on it's way to redfloor. This book was waiting for me as I came home from a weekendtrip. Looking forward reading it. Wat een mooi idee! Een echt feelgood boek. Het toontje in het boek, het Amerikaanse, stond me echter wel tegen. Ik had er al veel over gehoord en ben blij dat ik het nu eindelijk heb gelezen. Ik stuur het door naar EmEli. What a lovely concept. Really enjoyed reading this book. Thank you for ringing it! Edit 8/5: I mailed the book to vis007 today. Thank you EmEli for sending this book to me. I found it a few hours ago, wrapped in a "wonder"ful paper. It looks like a very inviting book, so I will read it as soon as possible! I've done reading the book. I have mixed feelings about it. It has a nice message, but the package is very American and the plot sometimes rather cheap. Without spoiling the clue for future readers, I wonder why the last chapters had to be so 'heroic' and why the love affairs of the main characters had to be so overwhelmingly present. But beside that, the core message was good and the book reads very fluently. I am sending the book back to The Netherlands, so the ring be continued. Received in the mail today. Thanks!! I have about 3 books to finish before I can start this one! Edit 26/7: sorry, sorry! The book is still with me. I am taking it with me on holiday and won't be able to send it to the next reader before August 20. Thanks for your patience! My holiday finally gave me time to finish the book! What a moving story and what a sad, yet hopeful ending. Never saw the movie, so that did not influence me one bit. How wonderful the world would be if we all payed it forward. Will certainly rembember this and try to do my share! Will send it to Marianne40 as soon as I have her address! Thanks for sharing it Linniepinnie! Edit Aug. 29: I will mail the book to Marianne40 today! Book is at my place! Linniepinnie would you like the book book back after I read it? Dank je voor het opsturen, Alexandra. Thank for sending it to me, Alexandra. I just finished reading the book last night. 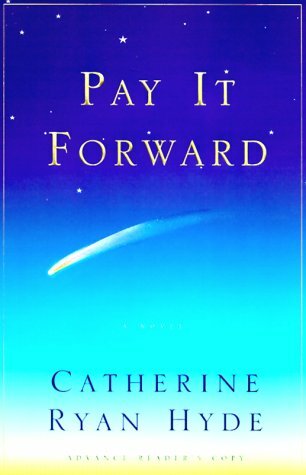 Although I think the idea of 'Paying it forward' is wonderful, the book was a bit of a disappointment. In the first chapters I was a bit confused and didn't know who's point of view I was reading. After a while I sorted it out. I loved to read about the relationship between Reuben and Arlette. And of course Trevor is a wonderful little boy. Unfortunately I found the visit to the president a bit too much and unrealistic. I can't remember seeing that in the movie?! I wish it would be possible to have a boy create a simple idea that will change the world. Thank you for making this book into a ring. I will send the book to Bumbelbee today. I received the book today. Thanks for sending it Cahira! I will start reading it soon, so I can send it quickly on its way. Anyway, I'll send it along to Impuls in a couple of days. edit: It's on its way! Somehow, the book ended up with the last ringstarter, who decided to start another loop there and then. I'm first in the new loop! I have lost track of who the starter is of a new bookring-list, but Uniflame requested me to become part of it. Please, Ringstarter, take care of this and put me at the end of this new ring? Thanks! And enjoy, all you new readers! The book is with me now; apparently, this loop didn't really loop after all. I'll send the book to Uniflame later this week. This book is on its way to the next reader; I just dropped it of at the post office.